From a digger to a dump truck, a fuel truck to a fire engine, this is a colorful collection for all little fans of big trucks. 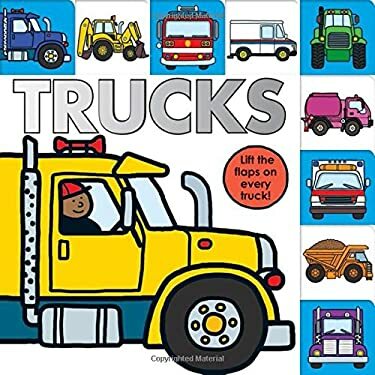 The black outline illustrations have card flaps to lift which reveal what's going on inside the trucks, and the simple text explains each one's special job. New (182 available) BRAND NEW. Over 1.5 million happy customers. 100% money-back guarantee. Make your purchase count: support Better World Books' worldwide literacy partners.